This week I am participating in the second round of Eating Down the Fridge. The challenge was created by Kim O’Donnel of The Washington Post blog A Mighty Appetite. The goal is to completely avoid food shopping (including eating out) for a full week, and instead concentrate on using what is already stored in your refrigerator, freezer, and pantry. Because I have been out of town, I started the challenge a couple of days late. But as of Monday, I have done no food shopping or eating out (with one exception) and I plan on continuing at least through Monday, but perhaps even longer if I can. Perhaps a week doesn’t sound like a very long time to go without shopping, and for those of us without kids it’s not that long at all. But my goal for this challenge is to use up things in my freezer and pantry that have long been neglected. And although I don’t do major grocery shopping more than a few times a month, I am used to popping up to my local market a few times a week for various ingredients, fresh fruits and vegetables. And quite frankly, I’ve been eating out a lot lately, so eating 21 meals in a row at home will be a bit of a challenge for me! Yesterday at lunchtime I was starving. But as I rummaged around my kitchen, I realized that I had no quick snacks to grab. I had no bread to make a sandwich, no crackers or bananas to smear with peanut butter, and no leftover dinner to reheat in the microwave. It shouldn’t have been a big deal since I have a fridge and pantry stocked with ingredients, but I had let myself get too hungry and I really needed something fast. Yes, I could have eaten a bowl of cereal, but I decided to step up to the EDF challenge, and start eating down my fridge. I drank a tall glass of water to quell my hunger pangs while I started searching for something to prepare. I found a half-empty jar of marinated artichokes hiding in the back of my refrigerator and decided it was time to use them up. My first thought was pasta. So I pulled a box of penne out of the pantry, found a container of kalamata olives and some feta cheese (score!) in the fridge, and was about to get to work. And then I had a change of heart. I remembered the jar of tahini and cans of garbanzo beans in the pantry and decided to throw the leftover artichoke hearts in a batch of hummus instead of tossing them with pasta. And as I was lamenting my lack of pita chips or crackers to go with the hummus, I remembered the package of frozen naan I had picked up at Trader Joe’s on my last visit. Perfect! Since hummus only takes minutes to put together, I had lunch in front of me even faster than if I had made the pasta. Ingredient amounts, including garlic can be adjusted to suit your own taste. Be careful with the hot sauce, a little bit adds a nice boost, but too much will overpower the flavors of the hummus. If you cook your own garbanzo beans rather than using canned, reserve a bit of the cooking liquid to thin the hummus in place of plain water. Love this hummus! Great way to use what you have on hand! Sriracha rocks! Sorry, just had to get that out. The hummus looks rich and delicious. It's one of those things I love but rarely make. You've reminded me how simple it can be ... must make it soon! This hummus looks fantastic and I think that I, too, have some artichokes hanging out in the hinterlands of the fridge. Thanks for the inspiration! I love artichokes in hummus, or any bean dip. They are very versatile and combine well. I haven't posted it yet but I just made a really tasty hummus with goat cheese, basil, cannelini beans and artichokes. Oh yum, I would've never thought to put artichokes in hummus but it sounds perfect! This sounds great! I have all of the ingredients on hand and Mr. B is madly in love with hummus and artichokes so it will be a big hit around our house. Thanks for sharing! This sounds heavenly right now. 2 of my faves!!!!! You are a genius! As always, lovely photo!! This does sound quite good. Can't wait to see the challah! How long is a jar of artichokes good for after you open it? I had an open jar roasted red peppers in my refrigerator and threw it away because I was worried I had it open for too long. I wish companies would label a "good for until....after opening" on their products. I just am a worrier. I love the idea of artichokes in hummus. Sounds perfect to me. I have made a recipe similar, I used leftover fresh artichoke hearts and it was DIVINE. Nice challenge and a nice result! 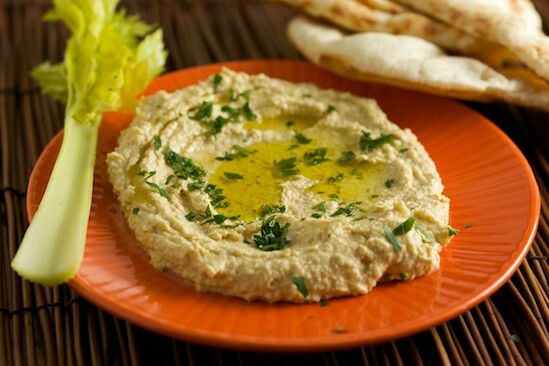 I love hummus -- so tasty, healthy and satisfying. Thanks! I could eat hummus everyday. This looks really good with the artichoke hearts. Love the picture. What a great idea for a challenge! I'm honestly not sure I could manage it... Well, probably, but I wouldn't be happy by the end of it. And now that it's FINALLY summer in Canada, I couldn't resist popping out to buy fresh fruit and vegetables. Maybe in winter...At any rate, bravo for being creative and going the extra mile! Pasta was an obvious choice, but this hummus is very original! I love the idea of hummus with artichokes. Brilliant! As for the challenge- it sounds like my life in rural New Mexico. Not fun. I'm so grateful to be close to farmers' markets now--- and fresh food!- after three years living off a pantry and shopping once a week. Oh, I could go for a big fat bowl of this right now! What a yummy idea, adding artichokes to hummus! with going out of town every weekend and moving out of my apartment in about a month, i might have to eat my fridge down, too! thanks for the idea, and lovely hummus! I'm a complete sucker for traditional hummus, Nic, and can't wait to try this version! Yum! How cool that you are doing this! WOW Nicole, artichoke hummus sounds genius to me! I just mad some hummus for dinner today and will try your recipe the next time I make it. I need to do this. Freezer, fridge and pantry are overflowing and still I shop. This version of Humus I have never seen before. Great though. I love artichokes and i am sure it goes well together. Thanks for the idea. We make hummus probably twice a week - never tried adding artichokes though, thanks for the idea! Hi there - thanks so much for this, made it yesterday and it was great - along with your tabbouleh and tzatziki recipes too! Love your blog, will definitely come back to try your other hummus recipes, and more! Omg, I don't know if I should make this or not. If I do, it is very possible I would never stop eating it. Hummus and marinated artichokes are near enough my favourite foods. If you threw garlic mushrooms in there somehow I would never need to eat anything else ever again. Okay, maybe chocolate. What a great site. We are big fans here at How2Heroes!! Super delicious! Bet there is a ton of things to do with that spread! Saw your bio, and became instantly in need of something Sicilian.... Perhaps tomorrow I will collect my olives, chilies and garlic and see where they take me! I hope to have some fun and throw some ideas off at each other... I'm a new blogger and can use all the help I can get! BTW, love your photos!! The thought never occurred to me to make artichoke hummus. Great Idea! Artichokes are so yummy, and in my opinion hummus was sent from the heavens... can't wait to try it! I bookmarked this page :) This looks so good! and it definitely healthier than the one I can find at stores. I'm crazy about hummus, and I never cooked artichokes before. I think this is an awesome recipe :) I'll try it soon! I love to do this, and the best part is the empty cabinets and fridge at the end of the week. Hummus made from canned chickpeas is not fit to be used as wallpaper paste. Much less eaten. Shame. This hummus taste like it looks Absolutely amazing! Just did a couple artichoke recipes but this looks great- simple and fast! I'm going to try this out soon.